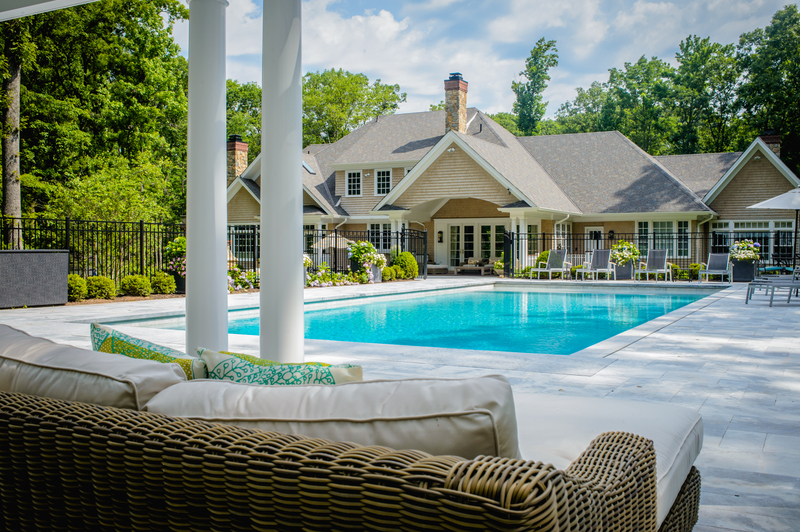 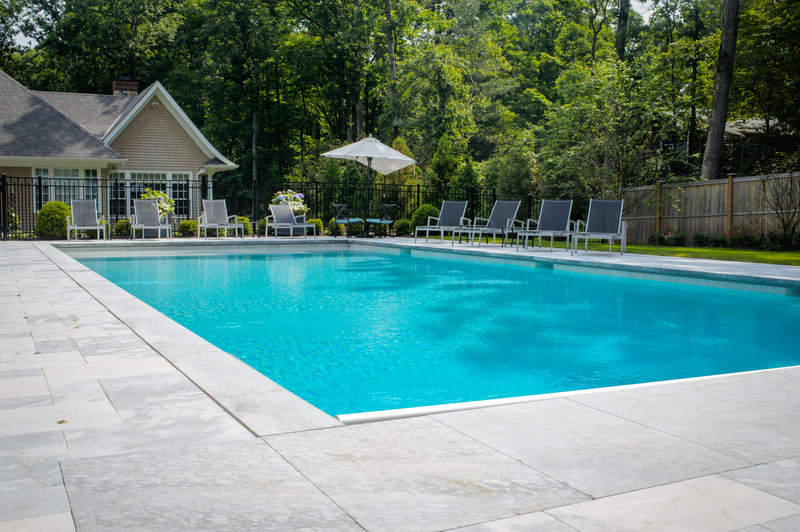 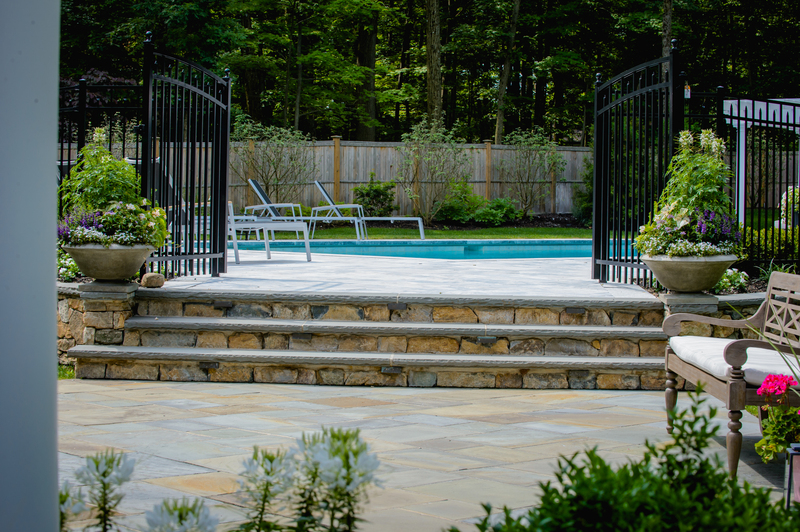 A white marble patio complements this timeless swimming pool. 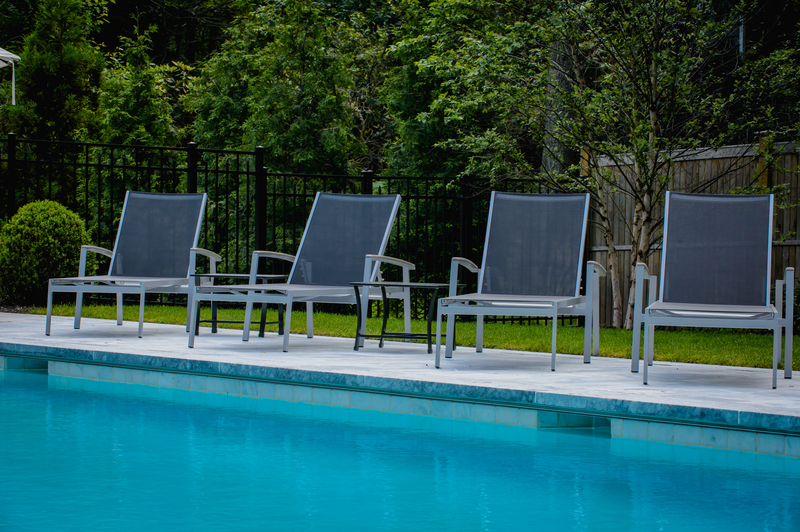 It's modern and sleek design will provide longevity and viewing pleasures for all the years to come. 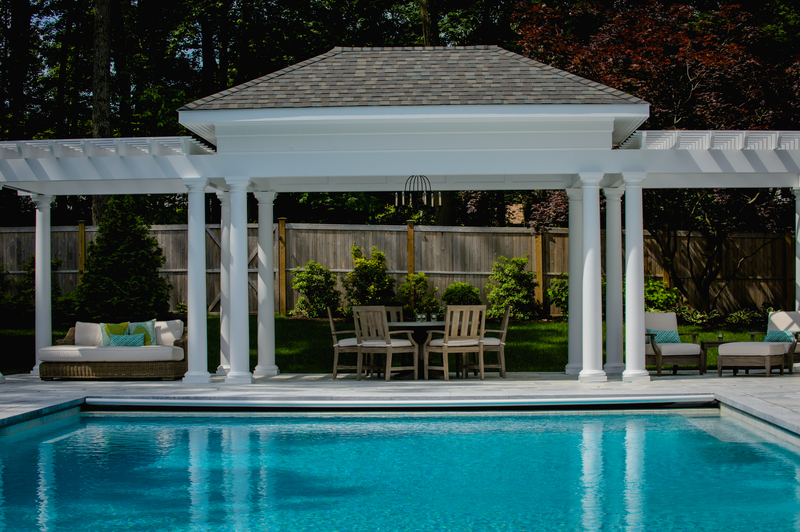 An elegant and expansive inground swimming pool. 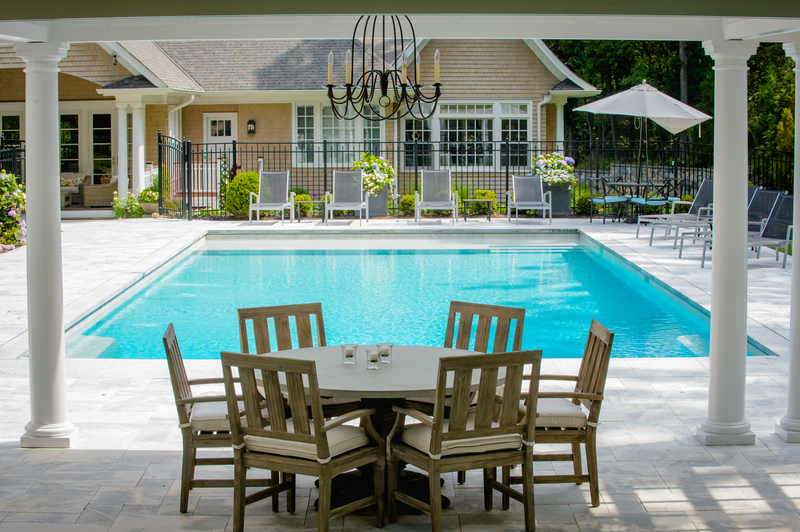 Equipped with a large sundeck ideal for both children and for lounging, as well as plenty of patio space for guests. 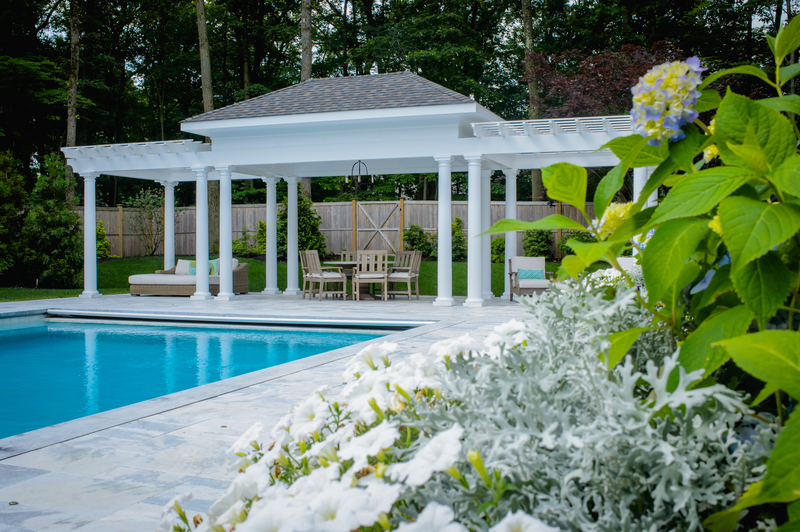 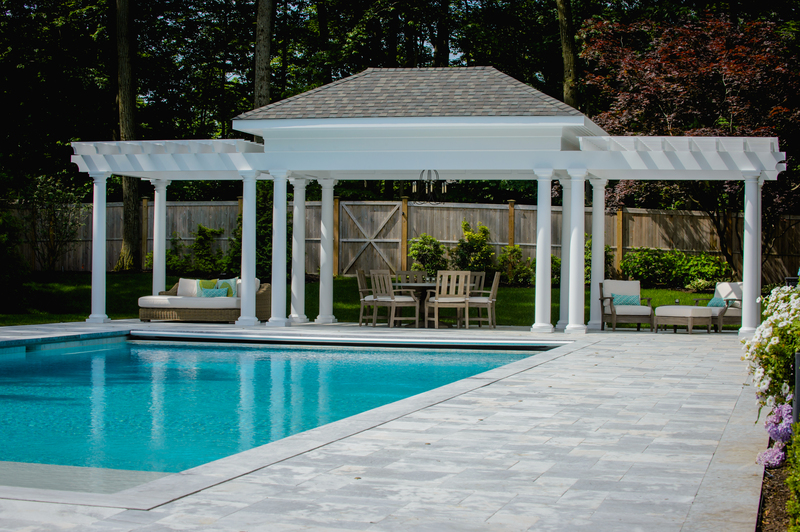 A pergola sits at the end of the pool for luxury relaxation. 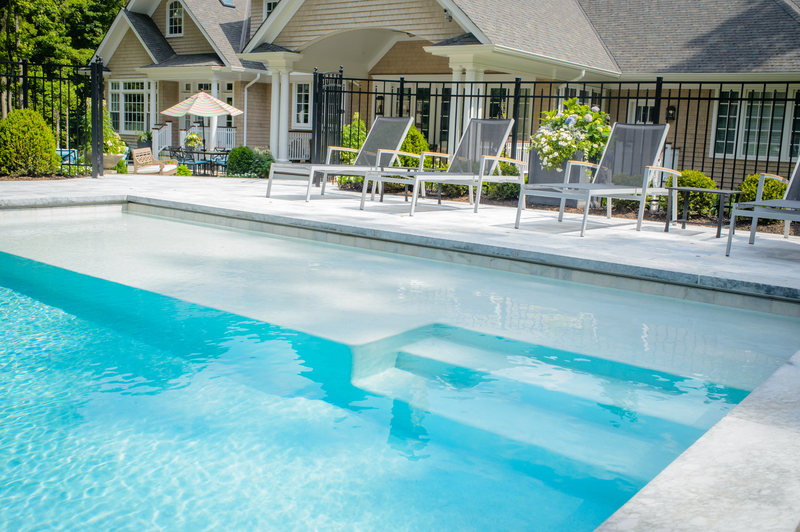 This swimming pool is a timeless classic.